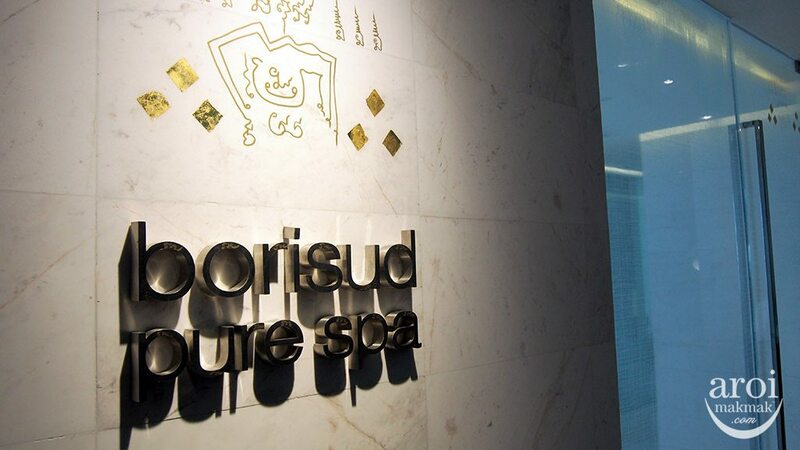 Borisud Pure Spa is conveniently located in Mode Sathorn Hotel. 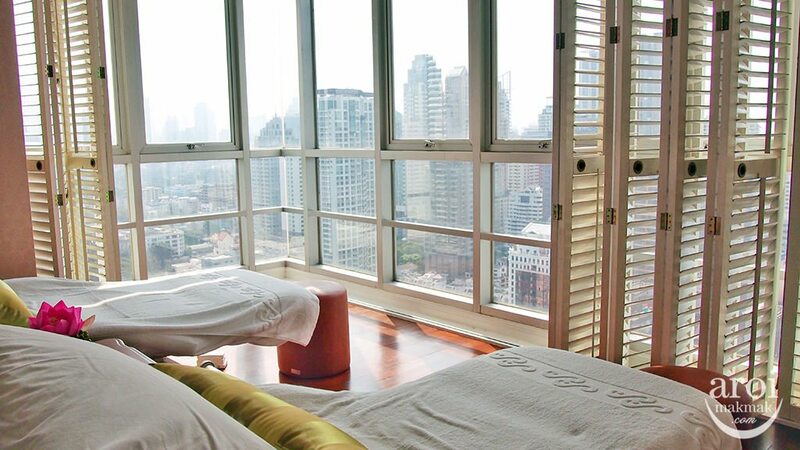 If you are a guest at Mode Sathorn Hotel, I would recommend you to have a spa session here because you will get discounts and also get to use their Pure Relax facilities which I will mention later. 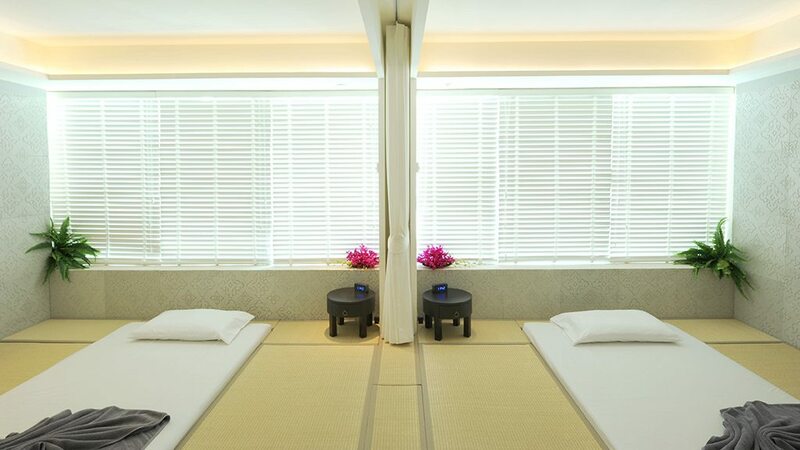 As you enter the spa, you will experience tranquility, probably because of the minimalist white interior and calm tones. 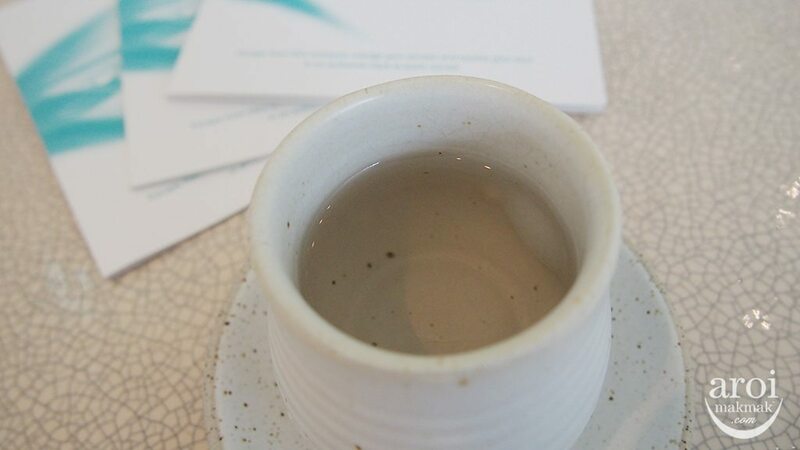 I was treated to “Purity Drink” which consists of Lemongrass, Kaffir Leaves and Apple. The colour itself is also very pure. 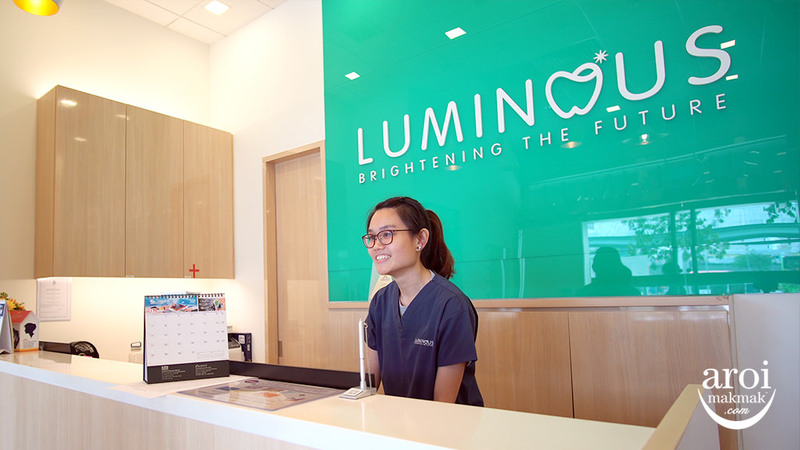 As usual after choosing my treatment, I got to choose my preferred essential oil. 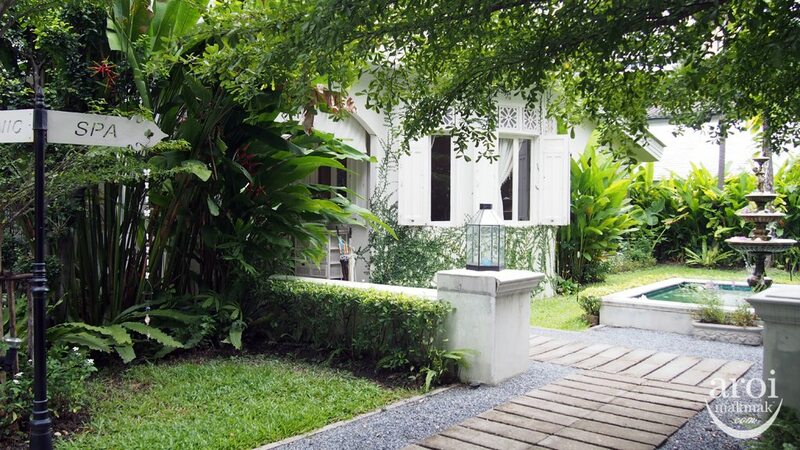 This is friendly Khun Mui who took very good care of me at the spa, ensuring that everything was well prepared for me. She very patiently answered whatever questions I had. Extremely good customer service I will say! 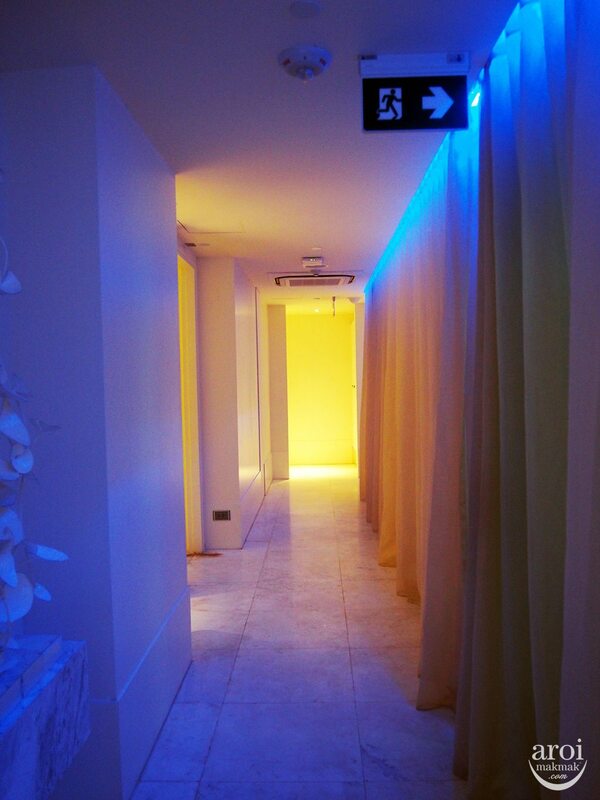 I had my spa treatment in the Single Treatment Room which had a slightly different colour tone from the rest. This was more yellow instead of white. 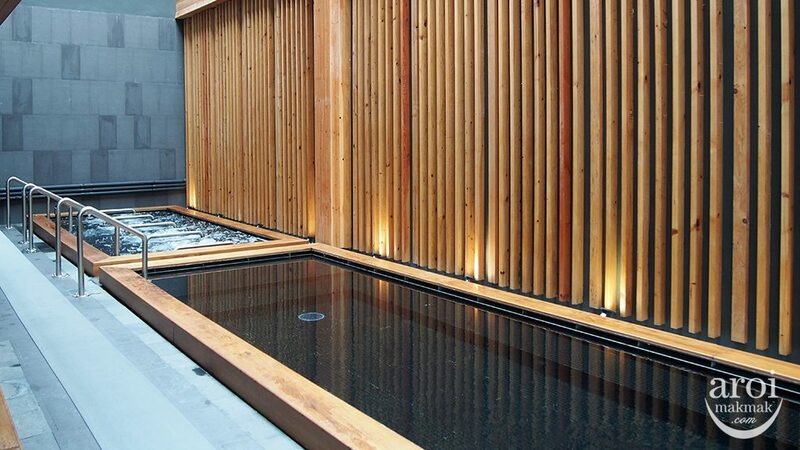 But nevertheless, still a soothing room. The spa treatment began with a foot wash. 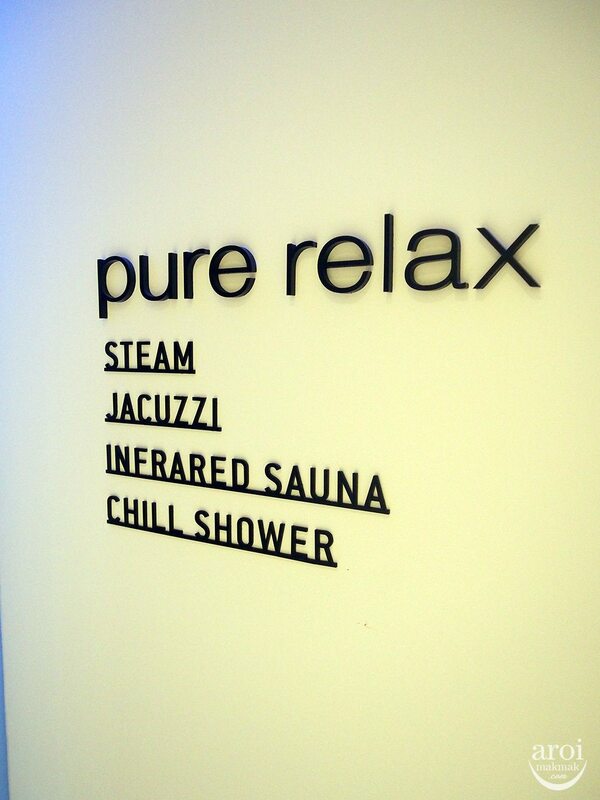 I had their signature treatment called “Pure So Swift Massage“. 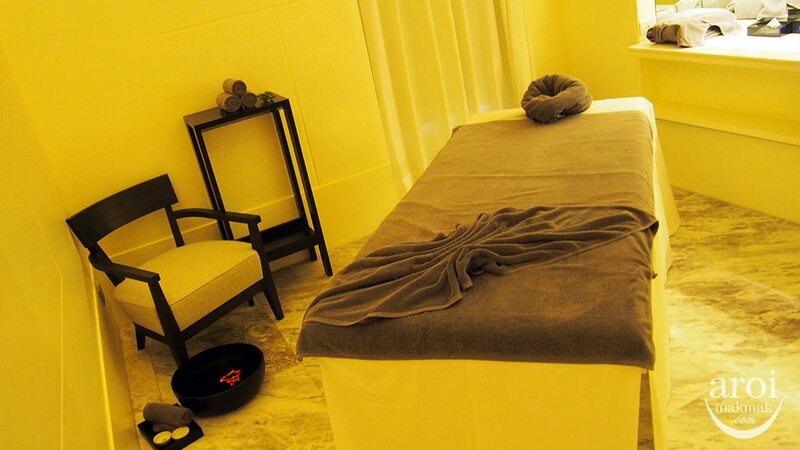 It is basically traditional Thai massage enhanced with classic Swedish techniques, creating a different sensation for the usual Thai massage. 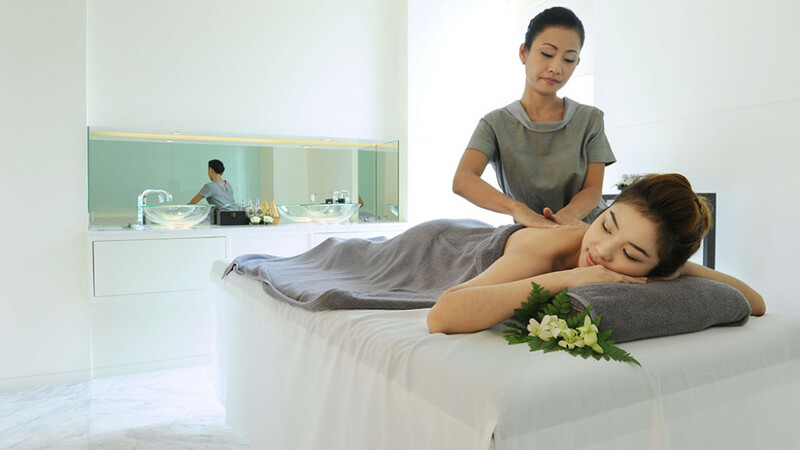 They use natural blend oils which enhances blood circulation and it is applied with skillful hands which really brings you into deep relaxation. 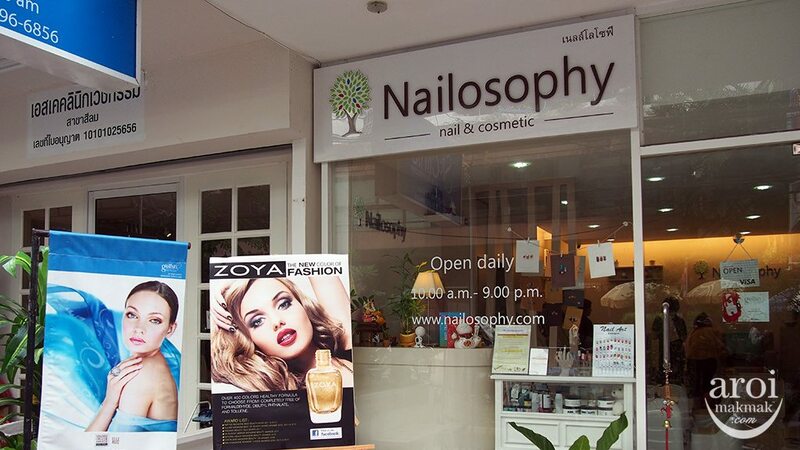 A 60 minutes treatment will cost you 2700 baht while a 90 minutes treatment at 3700 baht. 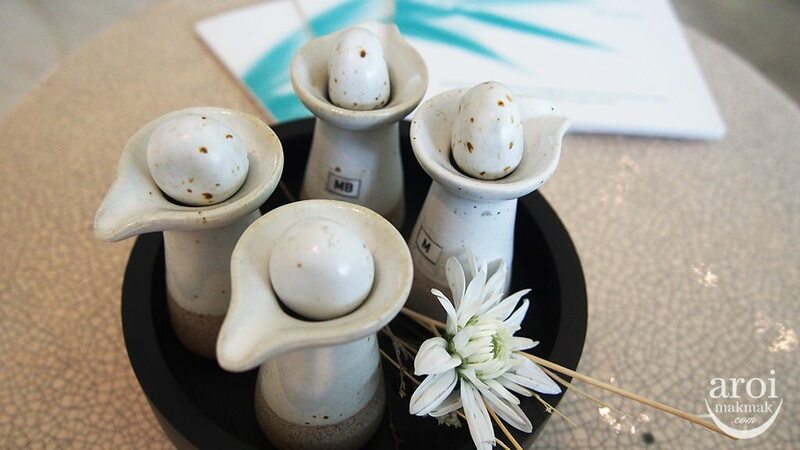 Do check out the monthly promotions they have during your stay! 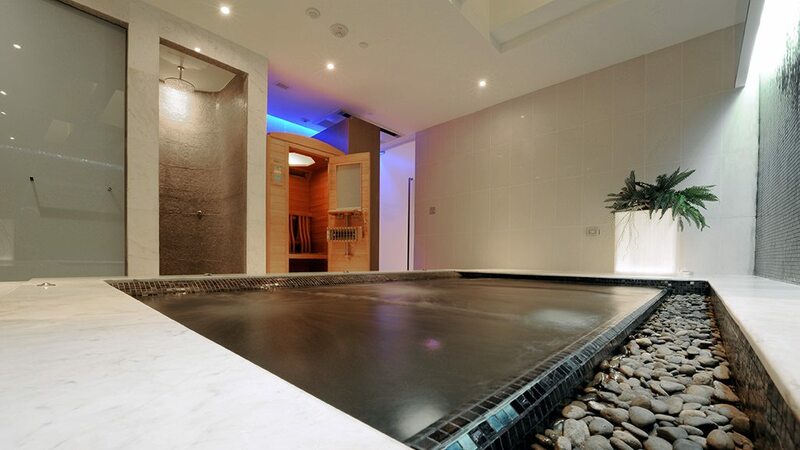 For guests who had a spa treatment in Borisud Pure Spa, you are entitled to a 1 hour complimentary usage of the “Pure Relax” facility which includes steam, jacuzzi, infrared sauna and chill shower. And this is how it looks like inside. A relatively small area with all the facilities. 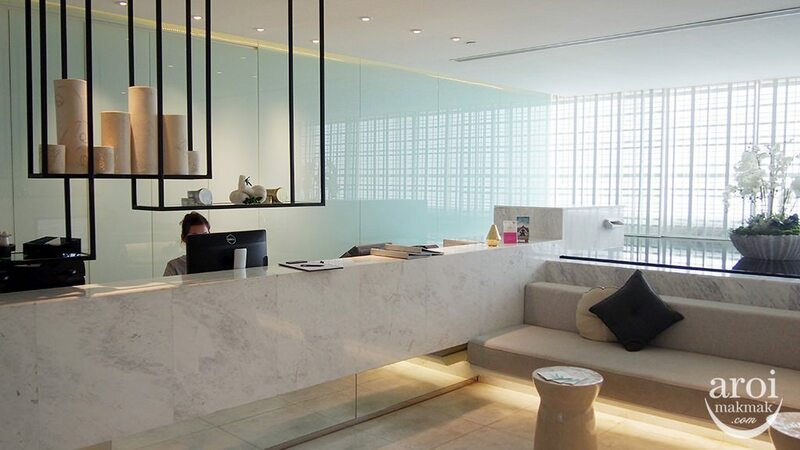 Do pre-book with the receptionist as it might be fully booked during your preferred timing. Borisud also offers poolside massage! 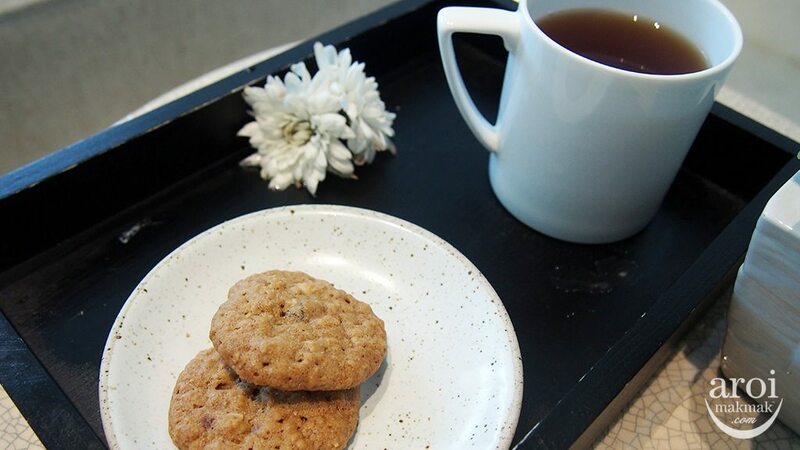 After your treatment, be treated to a delicious cinnamon biscuit and tea to cleanse your body! 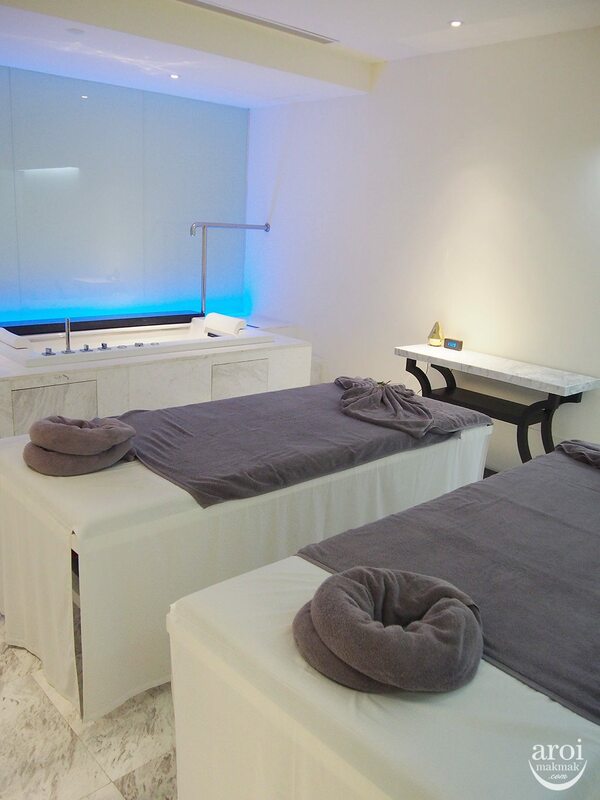 Minimalist interior, extremely good service, quality massage! 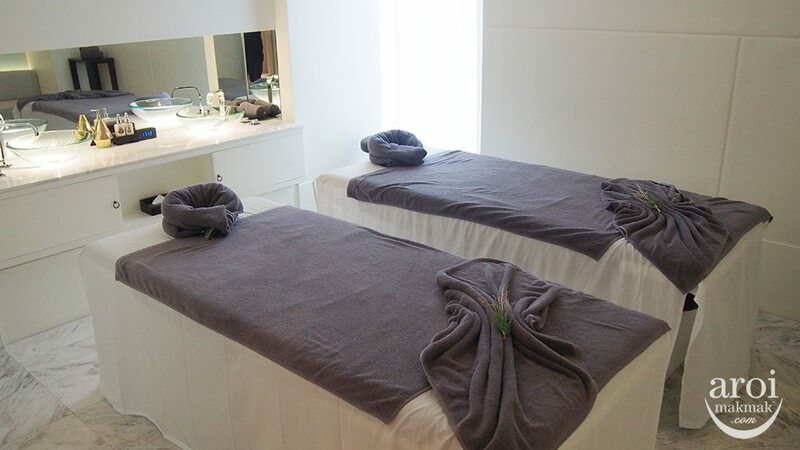 A spa needs to make their guests feel calm and special and Borisud does it by their “pureness” combined with quality customer service and massage. 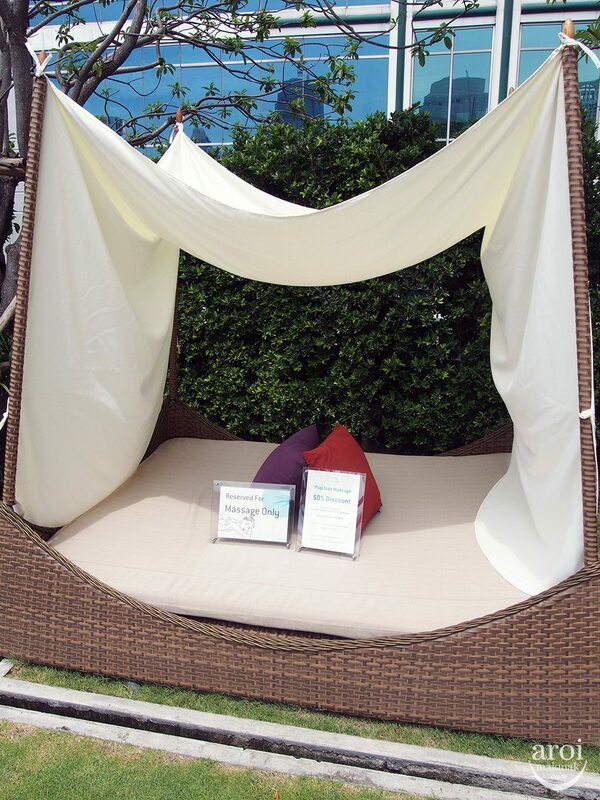 The “Pure Relax” facility is also a good addition during your stay at Mode Sathorn Hotel.